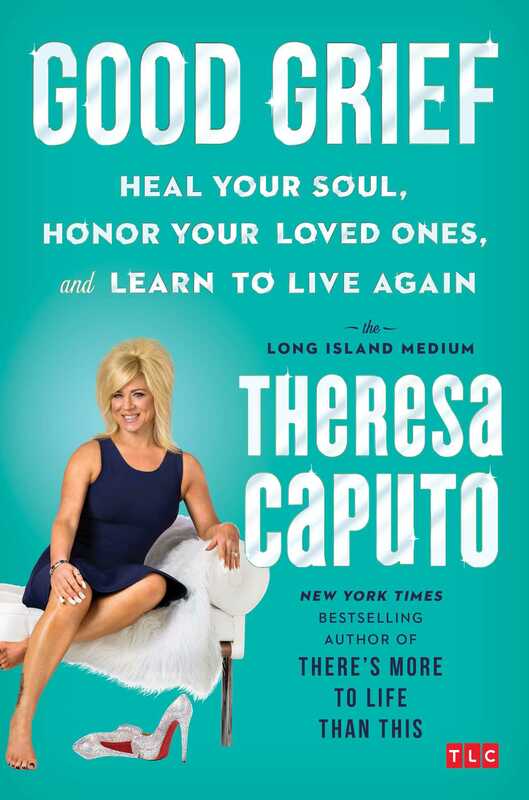 The star of TLC’s Long Island Medium and New York Times bestselling author Theresa Caputo provides a guide to overcoming grief, filled with inspiring lessons from Spirit and astonishing stories from the clients who have been empowered by Theresa’s spiritual readings. After more than a decade of being a practicing medium, Theresa Caputo brings the powerful lessons she has learned about grief, healing, and finding happiness in the wake of tragedy. In almost every reading she gives, Spirit insists that people begin to embrace their lives again. Easily said, but not everyone knows where to begin, and putting back together the pieces of a life marked by loss is never easy. Sometimes, you need spiritual guidance—that's where Theresa comes in. With her energetic, positive, and encouraging tone, Theresa uses the lessons from Spirit to guide you through grief toward a place of solace and healing. Each lesson is grounded in her clients' stories as they share the experience of losing their loved ones, their encounters with Spirit during readings, and the ways in which they’ve been able to heal and grow. Each chapter is filled with activities to help you find your “new normal”—including journal entries, individual and group exercises, meditations, and moments of reflection—based on the truths that Theresa has gathered from Spirit. Good Grief will help you to feel stronger and more optimistic about what the future has in store for you.